WRLD is proud to announce a partnership with online learning platform Udacity to power Udacity Universe—a large shared simulation environment where students develop and coordinate self-driving and self-flying fleets to tackle the world’s most complex autonomous transportation challenges at world scale. Built upon WRLD’s cloud-based 3D digital twin technology, this virtual world provides a critical environment to solve autonomous transportation challenges through multi-player collaboration. We’re excited to see what innovative solutions are built by tomorrow’s pioneering engineers in systems for fleet management and smart city planning. The announcement took place at Udacity Intersect in Mountain View, California, where Vishal Makhijani, CEO of Udacity, showcased how the WRLD platform would serve as an interactive and virtualized environment where students can test and discover how these systems work in an efficient, reliable and safe manner. He explained how students will now be using Udacity Universe built with WRLD as their visual interface for massive simulations. Additional Udacity Universe partners include Unity Technologies, Zipline, and the Dubai Future Foundation. This announcement accompanies the launch of four new nanodegrees programs added at Udacity to allow anyone to gain expertise in areas like Self-Driving Car, Robotics, Deep Learning, and Artificial Intelligence. WRLD is excited to play an essential role in this partnership and is keen to support the student community in developing the future of autonomous and flying vehicle technology. Introducing Udacity Universe! from Udacity on Vimeo. Udacity Universe represents a massive breakthrough for autonomous and flying vehicles. It enables simulations of thousands of driven or flown miles faster than any real-world scenario. The Universe provides a much more affordable and safer testing alternative that will allow hundreds of thousands vehicles and journeys to be deployed quicker and simultaneously in a virtual world, rather than real cars and human operators in the real world. According to Rand, proper autonomous vehicle testing requires 500 billion to one trillion miles to get enough data to power vehicles safely. Simulations will play an essential role in the future, leveraging the necessary intelligence to develop these advanced models and systems. Despite recent self-driving vehicle deployments, it is still unclear if the technology is ready to take on the real world as regulations and policies are hindering development due to reasonable public safety concerns. The launch of Udacity Universe serves as a safe environment and training ground for students looking to solve the exciting but significant challenges of automated transport and flying vehicles. By enrolling in Udacity Universe, engineers will gain a greater understanding of how vehicles interact with systems at different levels - on the ground, and in the skies - as fleets of cars, people, buildings, and cities come together in one simulated environment. WRLD’s cloud-based platform is crucial to support this level of understanding as the platform is designed to reproduce any simulation across mobile, desktop, and VR devices. Engineers can take an empathetic perspective of these simulations. They can put on a VR headset and immerse themselves in a passenger or pedestrian view of an autonomous transportation system traveling around the Udacity Universe. Engineers also can get a global perspective at 10,000 feet views to observe how their simulation interacts with other vehicles, as each car follows its own set of rules. The WRLD platform started as a 3D map engine born from gaming technology, based on real-world data and has evolved into a virtual world for simulations, location-based experiences, smart buildings, and smart city planning. 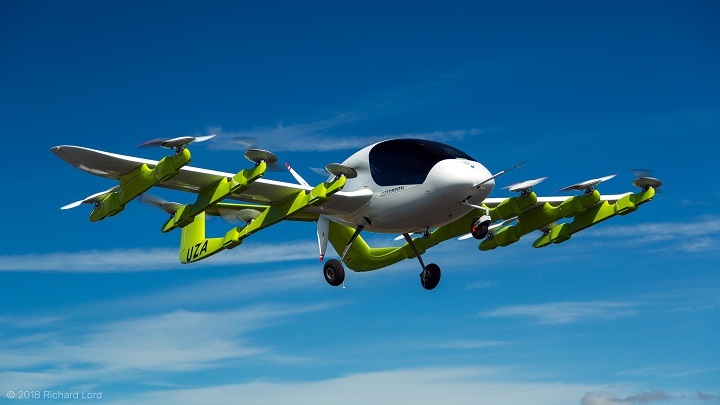 The value of the WRLD platform assists the autonomous transportation development and flying car technology. To deploy a virtual world of the scale of Udacity Universe would require a robust solution ready to handle a challenge of such complexity. WRLD is proud to provide a ready-built 3D digital twin—a virtual representation of cities and rural environments. The platform serves as a natural engine for Udacity Universe—a world where everything is possible. According to Christian Plagemann, VP of Learning at Udacity, many of the transportation options available will be performed by an autonomous vehicle in just five years. There is plenty to be excited about as autonomous cars and flying cars become less of a dystopian reality, and start to take part of our daily lives in a safe and proven manner.